All that buzz about social media but you simply don't get it? Struggling to understand its purpose? 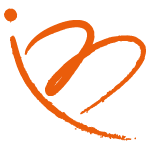 Why and how your business could be using it? Which platform to use to tell & sell your story (product/service)? Where to find your audience? What to post? How to drive engagement? You want to advertise but you don't even know where to start? ​Or you just don't have time because you are busy doing everything else? ∙ complete set up of your business profile | Facebook, Instagram, LinkedIn, Twitter, etc. Having worked at UNESCO Headquarters in Paris, as well as with marketing giant L’Oréal prior to moving to New Zealand, she brings a wide variety of skills, a strategic thinking and an eye for creativity & tech to the digital sphere. With over 10 years of experience in communication, content creation and events, she is now on a mission to share her passion for all things social and your organisation grow. 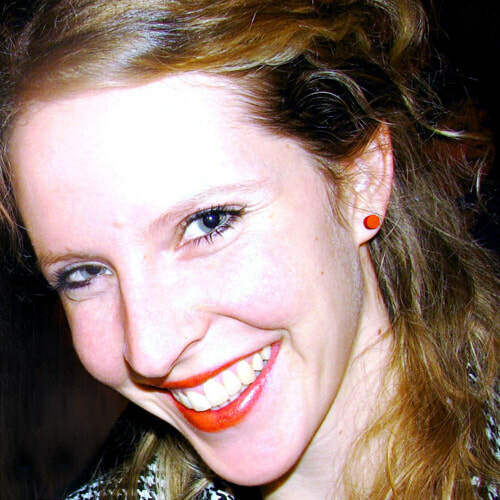 Bea has been an energetic speaker at networking events, business mentor meetings. She hosts regular social media workshops and provides advice to local and global businesses. She is an official LinkedIn Local host, a member of the Organising Committee and a speaker at the Social Media Conference New Zealand 2019. Wherever you are. From Nelson to the world. ​Let's take your business to another level. 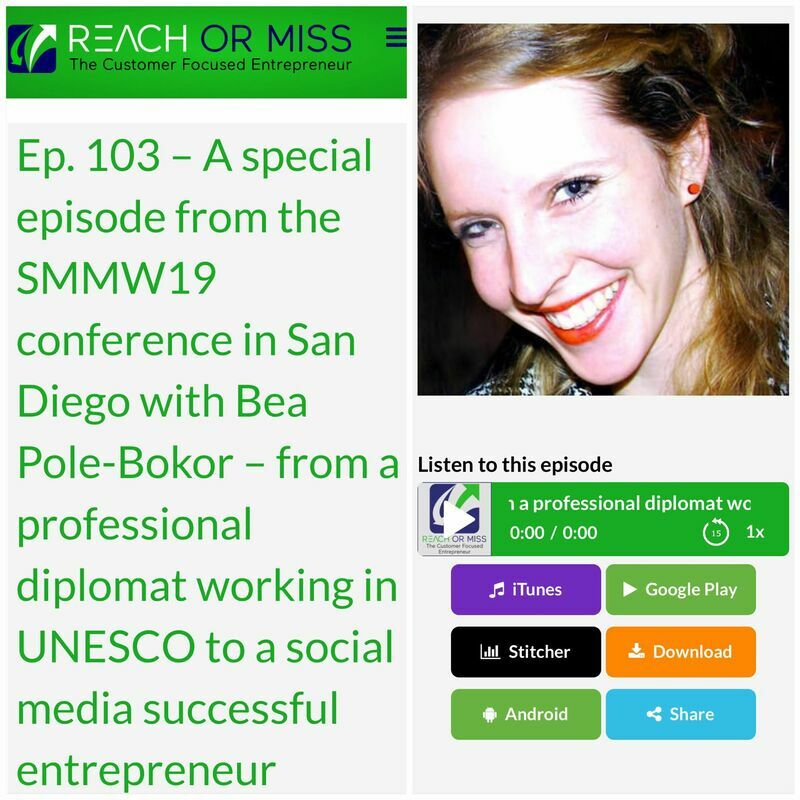 Tune in to this special podcast about Bea's entrepreneurial journey, how she ventured into social media after diplomacy, some of her takeaways from Social Media Marketing World #SMMW19 and some very personal stories including which was her favourite mountain she climbed! The Reach of Miss podcast features entrepreneurs and opinion leaders who share their experience with customers, and how their ‘customer approach’ affected their entrepreneurial journey. Check out some behind the scenes from our Social Media courses to see us in action. ​Hear some takeaways from local business owners & professionals. Check out how local entrepreneurs leveraged Facebook and Instagram to grow their business. ​Hear their results & what they've learned at our Social Media Workshop. Hear what people loved about B!Social's Workshops, learning about how to use Social Media for business! Get additional support & clarity, and get updated on the newest changes around Facebook & Instagram. Come & join us for an interactive discussion and let's tap into what works best this year to grow your business through social media. I'm delighted to be back for the second time to the BNZ Networking session to discuss this hot topic and share some of my takeaways from Social Media Marketing World. ​Limited seats available for non members. As it is hosted at the BNZ Partners Centre, you need to register prior to the event! ​If you'd like to join us, please contact me and I will send you more details. Follow my updates from the industry's biggest event in the world. Key takeaways, interviews with my favourite speakers and international guests about what's the future of social media marketing. Join us for New Zealand's biggest Social Media Conference for 2 full days of inspiration, learning and an epic social networking. On its sixth year, we will once again bring together delegates and attendees from around the world. Meet international & local social media experts, mingle with like-minded business owners & professionals. I will be sharing my top tips on how to Raise your Profile and Grow your Business with Instagram Stories! Come & join your local LinkedIn network to have a great conversation, expand your connections, learn about local LinkedIn best practices and meet the real people behind the profiles. ​The global movement has taken the world by storm, with 360+ cities & 60+ countries involved, connecting local communities & bringing online connections offline! The topic this time: Raise the profile of your business and the region. 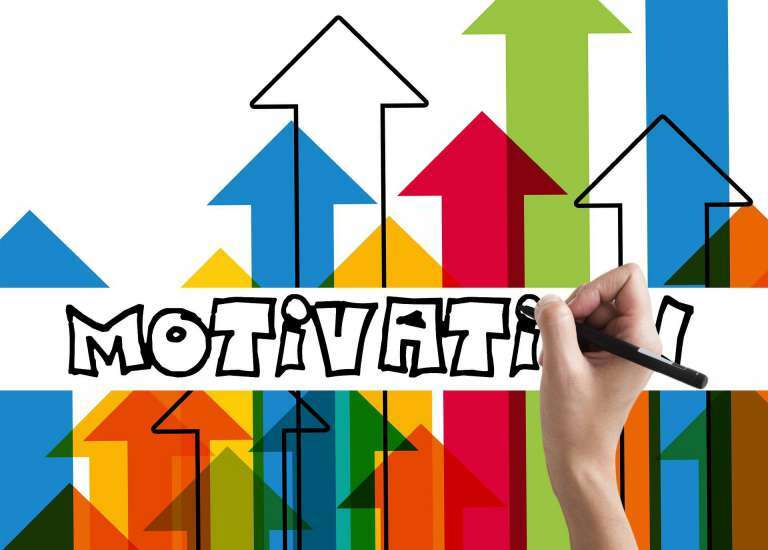 How to find & reach more customers who will buy your product / service? Learn how to create successful ad campaigns, target & remarket to your audience by advertising on Facebook & Instagram. We will walk you through the Ads Manager so you can reach your customers in the most efficient way. An intensive workshop to unleash the potential of Social Media and use it best for your business. We will cover strategy, DO's & DON'Ts of Facebook & Instagram, creative content creation, an intro into advertising & algorithms, and the most exciting new trends of the industry. Leverage one of the fastest evolving platforms for your business and learn all about how to make the most out of your LinkedIn profile/ page. Master tips on how to build your presence, not just your profile, and make your business grow. Use LinkedIn for networking, prospecting, connecting. Gone are the times when LinkedIn was just a platform to upload your CV. And we are bringing it now to you! Mentors, meet your fellow mentors and increase your knowledge about how Social Media can make a difference to businesses. Bea Pole-Bokor a local expert and owner of B!Social will share her knowledge about this important marketing tool and answer your questions. Look forward to seeing you - please RSVP as NTBT will be organising refreshments. ​This event is for NTBT Business Mentors only. Join our local & global community to celebrate social media connecting people. Featuring local businesses and their top tips on social media. Come and be part of it! LinkedIn Local Nelson Tasman - the very first in Nelson! Are you on LinkedIn? Come & meet the real people behind the profiles, let’s share some stories and connect face-to-face with the local LinkedIn network! ​The movement has taken the world by storm, with 100+ cities & 50+ countries involved, connecting local communities & bringing online connections offline! And we are bringing it now to you! ​Have you ever thought about creating a Facebook Page for your business but you are not even sure where to start? Are you a superbusy business owner who doesn’t have time to do all the research and need some professional and quick guidance to help you set up and launch your page? Then this workshop is exactly for you! ​A special workshop to leverage Social Media. A brilliant way to receive expert advice, along with support, networking and motivation from other Richmond Businesses during the upgrade. Leveraging your business with Facebook - how does it work in reality? Come and see how local entrepreneurs used Facebook to succeed in business. An excellent opportunity to discuss local case studies with the Nelson social media expert, Bea Pole-Bokor from B!Social. Join the discussion, bring your questions, and enjoy the evening in a great company. ​Limited seats are available for non members. An interactive discussion about the power of social media and how you can use it best for your business. ​Stay tuned, be notified about future events! Get inspired as local businesses shared their top tips and why they love using social media for business. ​Join the celebrations, join our community! From Nelson, New Zealand, or anywhere in the world.